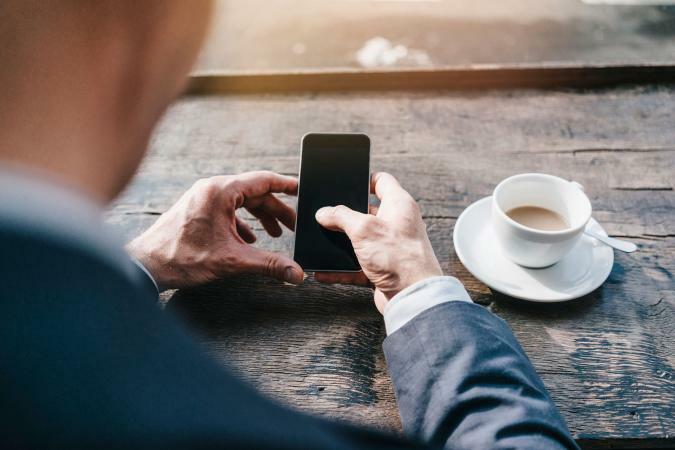 By Andrew Border Technical Writer, Trainer for Apple Inc.
With more and more public and retail spaces providing free Wi-Fi, there are always opportunities to connect. One of the more frustrating issues smartphone owners experience is the inability to connect to Wi-Fi successfully. If you're having trouble connecting your phone to Wi-Fi, one of these eight steps should solve the problem. Start with the first step and proceed through the others until you're online! Before diving into your phone trying to fix things, make sure the router and wireless network are working. The best way to test the network is to ensure a wireless device can connect to the network at all. See if friends can connect or ask someone nearby if they can connect. If multiple devices can't connect to the network, there is most likely a problem with the router or with the internet service. Also, make sure your phone is getting a stable Wi-Fi signal. Sometimes small things are overlooked when a phone is causing trouble. Make sure the phone's Wi-Fi antenna is enabled before proceeding to more advanced troubleshooting. Additionally, turning the Wi-Fi antenna off and back on can clear up connection issues. The Wi-Fi on/off toggle button is located in the Settings > Wi-Fi section of most smartphones. If you're connecting to Wi-Fi on an airplane and you've enabled Airplane Mode, you will need to turn your Wi-Fi antenna back on. Entering Airplane Mode turns off the Wi-Fi antenna by default. Always compare the name of the network being connected to with the name of the desired network. It's not uncommon for apartment complexes or public spaces to have a handful of Wi-Fi networks available. These types of networks are often left with similar default names like "ISP-WiFi-123" and "ISP-WiFi-132," making them difficult to tell apart. 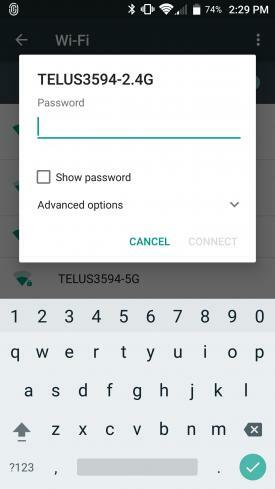 Two common symptoms of attempting to connect to the wrong network are a password prompt appearing when you don't expect one, or the password you are entering is correct but is not accepted. Many times, re-reading and re-entering a password will do wonders. Verify the password is correct or double check with a concierge or employee when connecting to hotel Wi-Fi or Wi-Fi in a retail store. Pay special attention to the use of upper- and lower-case characters. On many smartphones, you can view the most recent character entered into a password field. Take your time and verify the password character by character as you enter it. Splash screens, sometimes also known as portal screens, are commonly used features of public Wi-Fi networks, especially in restaurants, cafes, and hotels. Splash screens prompt users to accept the terms and conditions of using the public Wi-Fi or they ask for a username and password. 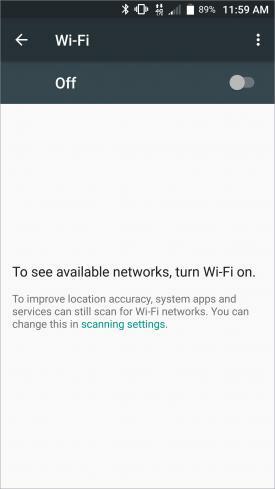 When connecting to public Wi-Fi, a splash screen may open after selecting a network from the list of those available in the nearby area. However, if you navigate away from your Settings app to quickly, the splash screen does not have time to appear, and the connection is canceled. After connecting to a public Wi-Fi network, wait a few seconds to see if a splash screen opens and prompts you to accept terms or to log in. Alternatively, sometimes a splash screen only opens in the phone's internet browser, like Safari or Chrome. If the splash screen only appears in the browser, other apps like Facebook or Instagram will not be able to connect to the internet until the splash screen has been viewed and completed in the browser. Restarting the phone gives it a clean slate and a chance to reconnect to available Wi-Fi networks. Sometimes temporary data can cause issues within the phone's software. Restarting the phone clears these caches of temporary data and allows it to perform operations a little more efficiently. Restarting the phone is a common troubleshooting step for many issues. Updating the phone's software can bring bug fixes and connectivity improvements. Many of these system updates clear up a host of odds and ends issues, like problems connecting to Wi-Fi. If you haven't updated your software in a while, it may take a little longer. If there is an update available, select Download and Install. Menu selections may differ from those listed here, but the general screen flow will be the same. Go to Settings > About device. Select Update or Wireless Update. Windows automatically updates the system software when new updates become available. If you are having trouble connecting to a Wi-Fi network that you had previously used, forgetting the network and reconnecting can fix the issue. When a phone "forgets" a network, it deletes any remnants of a connection the phone might keep when attempting to connect to a network. Sometimes a hiccup occurs when a phone tries to connect to a Wi-Fi network and that little glitch repeats on every connection attempt, preventing the phone from connecting. Use the device-specific instructions for iPhone, Android, and Windows phones listed below to forget a network and reconnect. Forgetting a network deletes the saved Wi-Fi password. Make sure you have access to the Wi-Fi password if one is needed. There are two ways to forget network connections on an iPhone: forgetting the network and resetting network settings. If these procedures don't resolve the issue, or you feel uncomfortable performing them, contact Apple Support. In the Find a Network list, find the desired network. Select the blue information icon located to the far right of the network name (it's the 'i' with a circle around it). 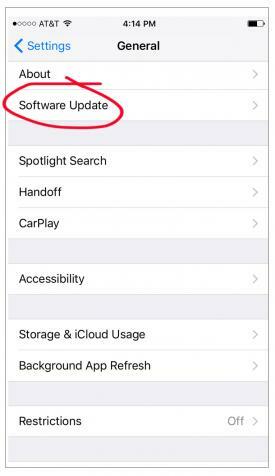 At the top of the information screen, select Forget This Network (if Forget this Network is not listed at the top of the screen, proceed to the Reset All Network Settings troubleshooting option or contact Apple Support). From the confirmation screen that opens, select Forget to forget the network. 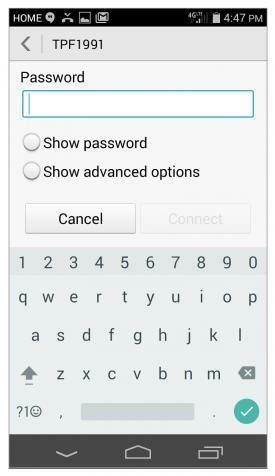 Return to the list of Wi-Fi networks and select the desired network, entering a password if one is required. Resetting all network settings removes all network connections. This should only be done as a last resort and is not recommended for iPhone users who aren't comfortable performing advanced troubleshooting. Resetting network settings deletes all Wi-Fi settings, saved Wi-Fi passwords, VPN configurations, and cellular settings. Make sure you have access to important Wi-Fi passwords and VPN information before proceeding. Go to Settings > General > Reset (located at the very bottom). 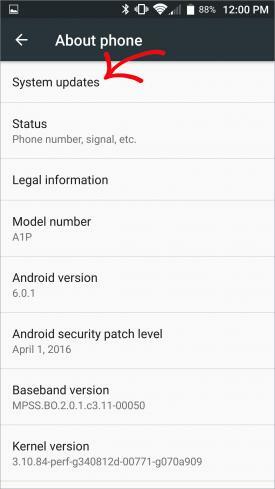 Select Reset Network Settings from the confirmation prompt. This resets all network settings and restarts the iPhone (select Cancel to cancel out of this option if desired). After the phone restarts, go to Settings > Wi-Fi. Select the desired network and enter a password if one is required. The Android operating system comes in various versions, depending on the brand and model of phone. If the tips on this page don't solve the issue, refer to the phone manufacturer's website. While menu names may differ slightly, follow the instructions below to forget a network connection. Remember that forgetting a network deletes the saved Wi-Fi password. Select the network from the list. From the list of Wi-Fi networks, select the desired network and enter a password if one is required. If you're familiar with forgetting networks on a Windows computer, this process is very similar. If Wi-Fi connection issues persist, check out the Microsoft Support site for more help and support contact information. Go to Start > Settings > Network & Internet > Wi-Fi > Manage Wi-Fi settings. Under the Manage known networks list, select the network to be forgotten by the phone. From the list of Wi-Fi networks, select the desired network, enter a password if one is required. If none of these steps solve the connection issue and you are still unable to connect to Wi-Fi, it's possible something is wrong with the hardware inside the phone. Additionally, if you feel uncomfortable performing any of these troubleshooting steps, always contact the phone's manufacturer before your cellular provider. Cellular providers are experts on the cellular network your phone uses, not phone hardware issues. Phone manufacturers are the experts on their devices and have service channels set up to help customers dealing with a wide range of issues.